INVESTORS Below Market Value for quick sale. AS IS needs paint and flooring. Minimal fixer upper. Contract is contingent upon probate court order approving the sale. GREAT neighborhood with deeded WATER access and underground utilities. Close to Hurlburt Field. Home is brick with dimensional shingle roof. Kitchen and breakfast bar open to the great room. Master bath has double vanities, garden tub and walk in closet. Marsh Harbor borders on undisturbed wetlands with access to sound. 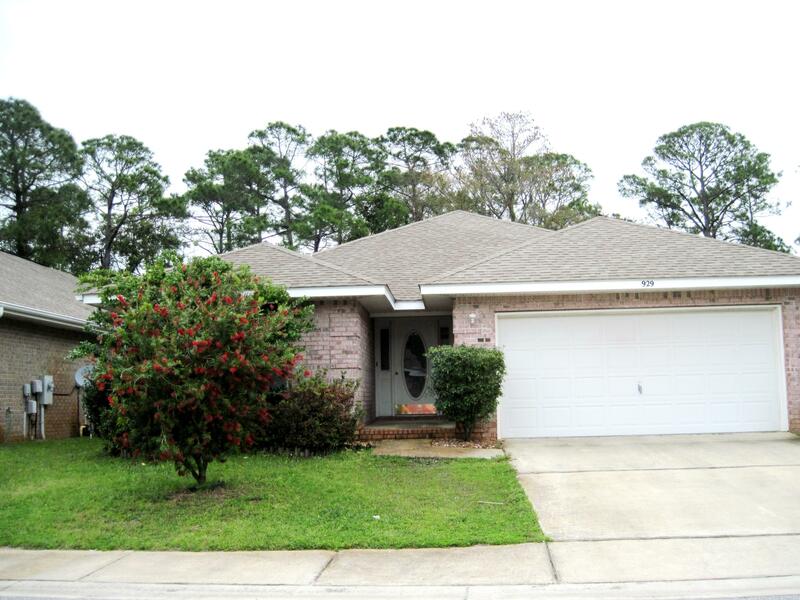 Nice community boardwalk to a large deck with breathtaking views of the Santa Rosa Sound, with beach and picnic area. Requires floor as lot slopes off and touches nature preserve. It has never flooded.